Add an adorable variety to your bingo games! 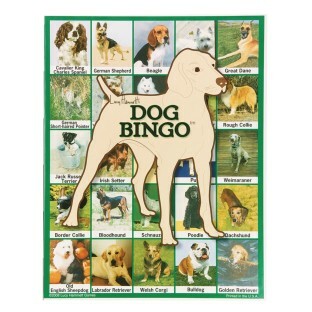 Add variety to your bingo games. These versions of the popular game all have bright, colorful spaces featuring pictures of a of nature, bugs, dogs, wildflowers, ocean creatures or a reference to American history. The "caller" holds up a picture card and players put a chip on their bingo card if they have a match. Contains 6 bingo boards, 42 calling cards, and markers. Boards measure 8-1/2” x 11” and the calling cards measure 2-1/4” x 3-1/2”. For 2-6 players, ages 7 and up. This are great but if you have a larger crowd you can't play. Need make with double or even triple the amount of cards. My residents really enjoyed learning about all of the breeds. The pictures are great I would recommend this to facilities.